We visited our Pedia about two weeks ago. We never thought we will be stuck in traffic. I promised my 11-year-old son we will eat after our visit as our Pedia texted us that she will only accommodate patients until 2 pm. We still haven’t eaten our lunch. There were so many vehicles fighting for every inch of road space on EDSA. Mommy decided to take Timog to at least avoid EDSA. We stopped at a gasoline station to fill our gas tank. Then I saw our favorite convenience store and had a quick trip to FamilyMart. My mom, who used to be so “maselan” about food was so happy with her Binagoongan. My son, too, was all praises with his Fish and Chips. 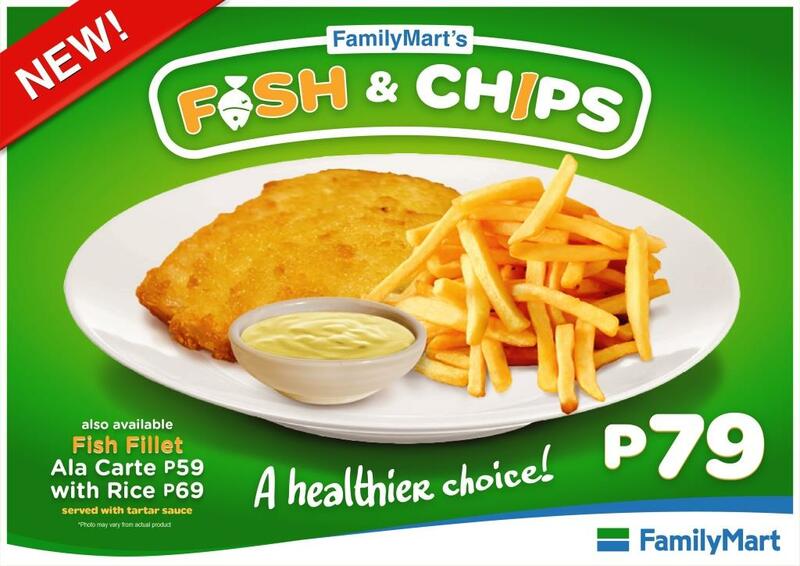 Yes, Fish and Chips is FamilyMart’s latest addition to its flavorful meals. FamilyMart’s Fish and Chips features a tender fish fillet lightly fried to a crisp and served with a side of crunchy fries and a zesty tartar sauce. My son so enjoyed his food he even suggested I should have bought two orders. This guilt-free set is at P79. The fish with rice is at P69 while an ala carte is at P59. I paired his Fish and Chips with a cup of Milk Tea Superfreeze and again, he loved his drink. I only got it for P45 (22 oz). We reached our Pedia’s clinic just before 2 pm. We even went for a quick visit to a drugstore for some medication. The food we had helped us survive for more than four hours before we had early dinner. I truly love FamilyMart for being our go-to place for everyday essentials. Grabbing a delicious and nutritious bite is easier than ever. Plus we need not go far to find healthy, sumptuous meals or discover delightful treats. At FamilyMart, there’s always something we’re sure to enjoy and come back to. I’ve been wanting to try their meals but haven’t been able to visit a convenient one yet. The fish and chips looks delicious. Does it really look like that though? Usually you get disappointed with the real deal. The price is great too. Very pocket friendly. FamilyMart gives ready to eat dishes that are really worth your money. The fish looks exactly as in the picture. They taste good, too. Even their Sausages (smoked one is my favorite) are really good. They also have California Maki and other Japanese meals that are not nakakadisappoint. I love fish and chips! I would love to try this too. Try na! Sadly, there are only a few or none ata sa area nyo. But when you drive somewhere and chance upon FamilyMart, better take that as a cue to try the fish and chips and other ready to eat meals, too.